When I first saw the Apple AirPods announced during the iPhone 7 launch event, I thought they looked awesome but vowed to never buy them. Why? I thought they were overpriced for just a wireless version of Apple’s headphones. Now I own them. Let me explain. I recently talked to someone that had a pair and they were telling me how great they were for talking on the phone. I have been using my Bluetooth earpiece quite a bit lately, and I’ve been growing increasingly annoyed at how it fits in my ear, and how non-portable it is because of its construction. Then along came a $35 rewards certificate for a local box store which took the edge off of the price tag, and pushed me into the “I’ll give them a try” category. Several weeks of waiting for them to be in stock only re-enforced my suspicions that these just might be a good thing. Apple’s AirPods are more than just headphones – they’re more than just wireless headphones. As the Apple tagline says, they’re “Wireless. Effortless. Magical.”. I’ve often criticized Apple for putting form over function, but they have really hit the mark with the AirPods. From the moment you open the box, quality is what you feel, see and hear. Consistency is one thing Apple does well, and if you’ve ever unboxed an Apple product, the AirPods will bring you no surprises. 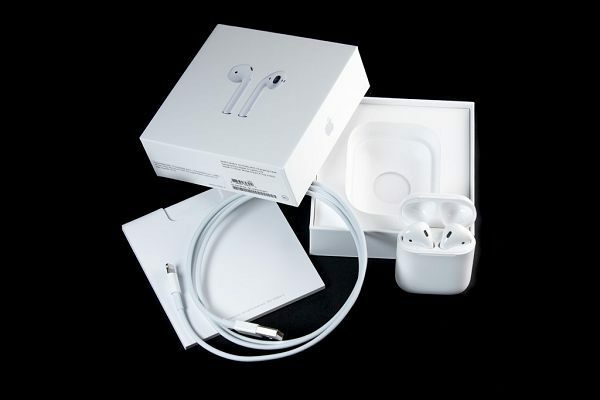 When you open the box you’ll find the typical packet of product papers and quick setup instructions, charging case, AirPods, and a lightning charging cable – no extra fluff. This is where the AirPods excel. Setup is as simple as holding the charging case near your unlocked phone and opening the case. Your phone or device (iPhone, iPad, and iPod touch models with iOS 10 or later) will simply display a message asking if you want to connect, tap connect and you’re done. That’s it. 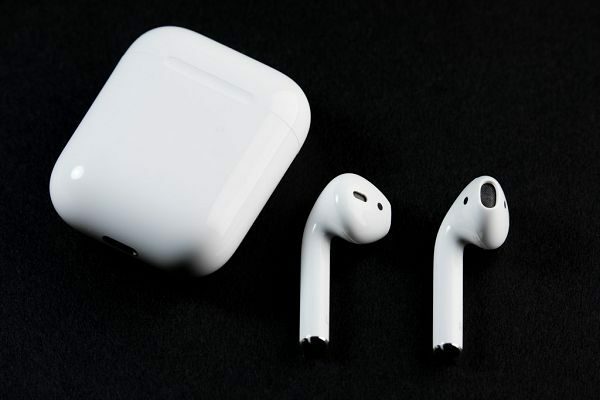 The AirPods are always connected, and automatically turn on and off via optical sensors and a motion accelerometer. A double-tap on the AirPod will invoke Siri or answer a call. There are also other options in the settings for configuring what the double-tap does such as Siri, next track, previous track, Play/Pause, and off. The left and right AirPod can be configured separately. 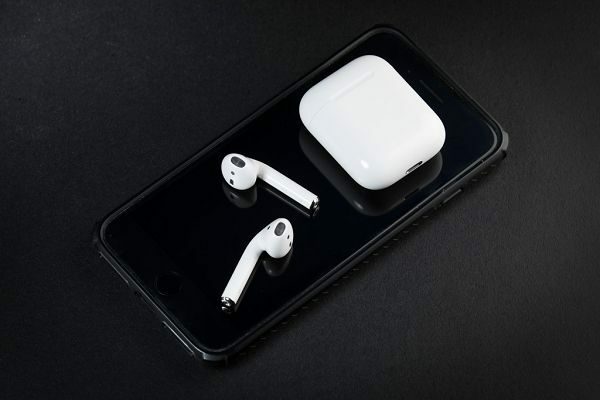 The AirPods feature 5 hours of battery life on one charge, and with the charging case you’ll have 24-hour battery life. Just 15 minutes in the charging case will give your AirPods 3 hours of listening time. My previous Bluetooth earpiece took around 5 seconds or longer to power on and switch the audio from the phone to the earpiece, during which I would miss much of the audio from the call. With the AirPods, I simply put it in my ear and the audio instantly transfers to the AirPod, and I don’t miss anything the caller is saying. Just like Apple says, they’re effortless. The compact charging case, with its smooth rounded edges fits nicely in my pocket, protects the AirPods when I’m not using them, and provides plenty of charge for the entire day. I drove around the other day listening to the radio while running map directions on my phone. I was able to hear the directions without having to mute the car radio. I often run around with my phone in my cargo pants pocket, and with the AirPod in my ear, I can hear incoming calls and texts that I would normally miss in loud environments. There’s really only one thing that I think could improve the AirPods and that’s more gesture control. A programmable triple-tap gesture would be handy for launching the music app or the phone app. Being really picky and having large fingers, I would say that they could be a little bit easier to remove from the charging case. I’m really impressed that Apple has been able to put such great features and electronics in such a small product. I’m not an audiophile, so I can’t comment on how good the audio is compared to other really good headphones. I can say that I like the audio from these, it’s definitely better than the wired headphones that come with the iPhone. Source: The AirPods for this review were purchased with our own funds. I have several “high end” bluetooth earphone devices and AirPods blow them out of the water with quality sound especially bass response which is excellent. There are some “complaints” that AirPods don’t fit in everyone’s ears and that’s valid. However if you’re going by the fit of EarPods (the wired ones that come with recent iPhones) then you should still give these a try. The fact that there is no wire changes the dynamic of the fit. I can’t wear EarPods (they fall out) but AirPods are very secure. And when I want extra protection I slip on one of the many 3rd party silicon covers/ear wings and that makes the fit bullet proof. Earskins work for fit for me. Granted they only work outside of the charger/case but they are easily installed and they provide just that additional sense of security in the ear. I still am hanging back. I have a set of Muse 5’s from Erato that I really like. They came out about a year before the Airpods arrived, and have been pretty consistently a good solution. I should probably review them. But I am sorely tempted. I have a $25 Apple gift card burning a hole in my pocket. I have both the AirPods and Bose Soundsport Free. The Bose sound much better, are more comfortable and secure but lack Bluetooth connectivity isn’t as good as the AirPods. 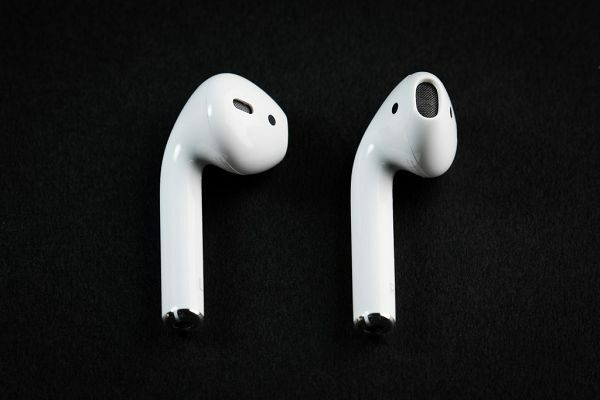 If Apple could improve the “fit” of the AirPods, it would have an undisputed winner.